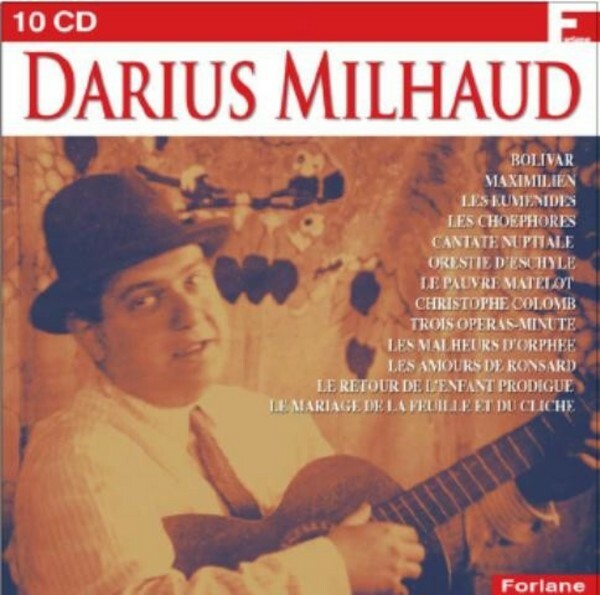 There can have been few great composers who could truthfully have titled their autobiographies 'My happy life', as Darius Milhaud did. His eighty-one years were shadowed by ill-health, by enforced exile during the Nazi occupation of France and by the loss of family members during the Holocaust. Ill health was borne with fortitude and good humour and, with his unquenchable optimism and his open-mindedness, Milhaud adapted to life in the ‘New World’ far better than most of his fellow exiled composers in the war years. The flow of his musical compositions continued unabated. Indeed, the very notion of creative block would have been quite alien to him. Milhaud was one of the most prolific composers of the twentieth century, with opus numbers running into several hundred.